This will surprise you. When a 2013 Dodge Challenger R/T retro muscle car was isted for sale this week on the Cars-On-Line.com website, it became the DEAL of the DAY. That is as published in this week’s Cars-On-Line.com newsletter. You may have been wondering whether the retro Dodge Challengers were going to go through “old age” as all used cars do. You know, after three years, new cars suffer steep drops in price because of depreciation. So their used car values become more attractive to the used car buyer. 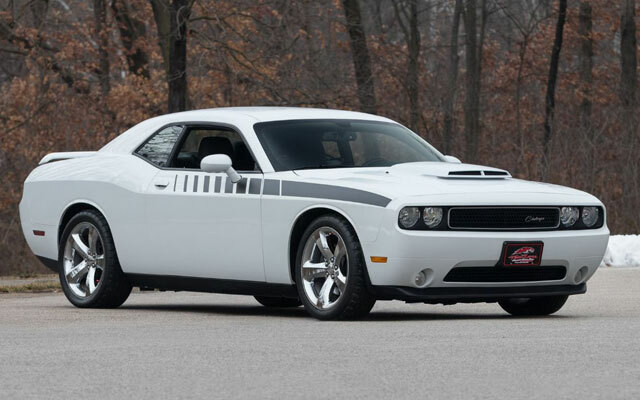 The 2013 Dodge Challenger R/T was just listed for sale by Fast Lane Classic Cars of St Charles, Missouri. Not only is this a rare 6-speed manual version, but it also has just 39,876 original miles. Wow! Could there be a used car more desirable? It comes with a rear spoiler, hood scoop, R/T striping, 20” chrome wheels w/ new Mickey Thompson radials, power windows, power locks, power mirrors, climate control, AM/FM/CD stereo, Pistol Grip shifter, and much more. So, Cars-On-Line.com will feature the 2013 Dodge Challenger R/T as their Deal of the Day. Are you ready for this? The asking price is only $19,995. Best price seen so far in the used car market. 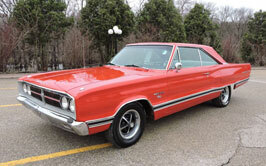 The Deal of the Day preview gives you first shot at all the cars which will be highlighted in the Deal of the Day feature on the Cars On Line home page. Often these cars sell in the newsletter before they even make it to the home page! You’ll always see them there first though. For a preview of all of this week’s Deals of the Day follow this link to the most recent editionn of the COL newsletter.